All characters of the Cartoon Network universe came together in a battle. This battle is friendly and no one will be hurt in it. Have you guessed what's it? 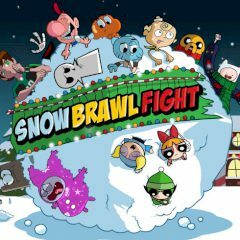 Yeah, you're right – it's a snow brawl! Choose your team and lead it to the victory.